Belmont University will celebrate its summer commencement ceremony for both undergraduate and graduate students on Friday, August 10 at 5 p.m. in the Curb Event Center. The University will confer 281 degrees including 125 Bachelor’s, 108 Masters and 48 doctoral. University President Dr. Bob Fisher will preside over the event and Associate Professor of Pharmacy Dr. Edgar Diaz-Cruz will present the commencement address. Diaz-Cruz is the 2017-18 Presidential Faculty Achievement Award recipient, a title awarded for the outstanding contributions he has made to student success. 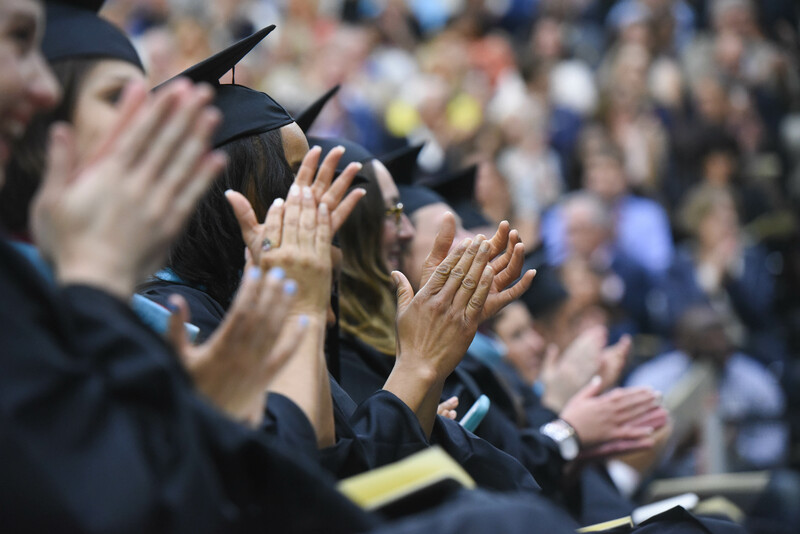 Graduating students will cross the stage confidently as they look towards the University’s most recent “First Destination Rate,” a measure that indicates the percentage of graduate who secure employment, enroll in graduate school or enlist in military service within six months of graduation. This year, Belmont’s rate is 94 percent, the highest rank the University’s has ever earned and a rate that is significantly higher than the national average. The ceremony will be live-streamed on Belmont’s website at www.belmont.edu.